Christian Smith&apos;s field of dreams came to him in a text message from North Carolina. Smith is vice president of operations for the National Club Baseball Association (NCBA), an organization that oversees more than 300 college club teams. 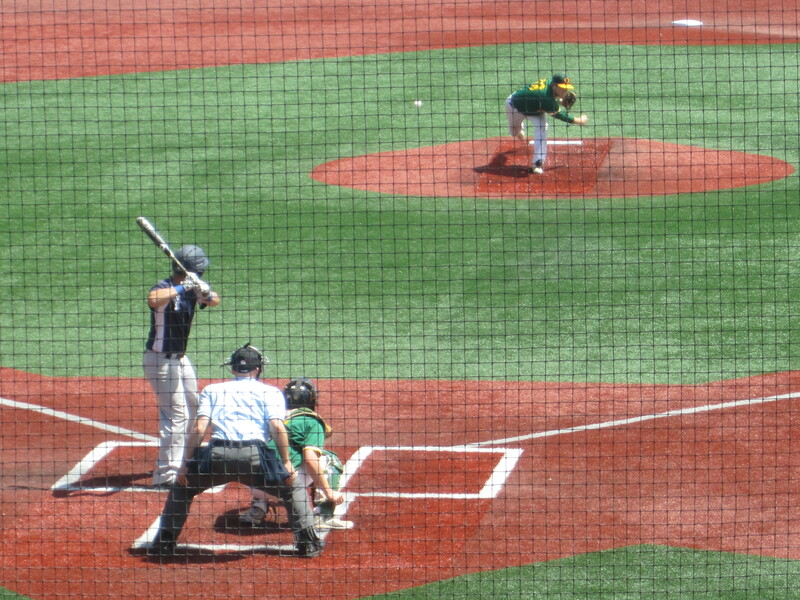 He runs the NCBA&apos;s Division I World Series, which brings together eight teams from name-brand colleges for a club-level national championship. Smith didn&apos;t know anything, really, about Holly Springs, N.C., but he liked the photos of the newly completed, amenity-stocked stadium at the North Main Athletic Complex. The same day he first saw the stadium in pictures, last spring while with his son at the pediatrician, he loved what he heard when making contact with Greater Raleigh Sports Alliance officials who would help him promote and carry out the NCBA World Series. Fast forward about 15 months, and the Pittsburgh-based NCBA is thrilled to bring its teams to Holly Springs for at least the next two years. Holly Springs is making its first foray into sports tourism, showcasing the field that at one point was destined to become a site for fill dirt for a southern Wake County landfill. Officially, the agreement with the NCBA is for the World Series to be held May 26-June 1 this year and again next year in the late spring. But organizers in Pittsburgh and Greater Raleigh like the idea of a longer commitment, the same way the intercollegiate College World Series has called Omaha, Neb., home since 1950. "Our goal is that Holly Springs will be the Omaha of club baseball," Smith said. "Everyone that&apos;s had their hand in this event, it really means a lot to us, and we&apos;re really, really thankful." Smith is gushing for good reason. He said that Holly Springs has rolled out the red carpet for this event, which is in its 17th year. The event has its first fan fest, on May 27, the same day as the DeMarini Long Ball Challenge. The tournament has its first title sponsor, Holly Springs-based GMA Supply. It has publicity that Smith has not seen previously in his time with the NCBA, from light-pole flags in downtown Holly Springs to information included in town utility bills to a welcome message for players on videoboards at RDU International Airport. "Our teams&apos; parents are coming no matter what, but it&apos;s always been a struggle to get the local fans coming to the games," Smith said. "We don&apos;t get word out as much as we&apos;d hope to. The Greater Raleigh Sports Alliance and Holly Springs have gone above and beyond getting the word out." The teams will stay at hotels in nearby Cary and enjoy discounts at select local restaurants while taking part in the tournament. Scott Manning, president and CEO of the Holly Springs Chamber of Commerce, said local organizers want to make sure the player experience is something unforgettable. Holly Springs&apos; desire to put on a top-notch event is matched only by the players&apos; love of the game. Club baseball is not like intercollegiate baseball, where players receive at least some scholarship money and travel to events is paid for. The club players often are scraping together money to extend their careers any way they can. "They&apos;re playing baseball for the love of the game," Manning said. "For most of them, this is the last time they get to play in a competitive setting. Our goal was to make the tournament a memorable life experience." The stadium itself should be memorable for the club players, who are more accustomed to high school venues for games and practice. "Stadiums like that are usually not available for the number of days we need," Smith said. "I&apos;m so excited for the teams. Their jaws are going to drop." 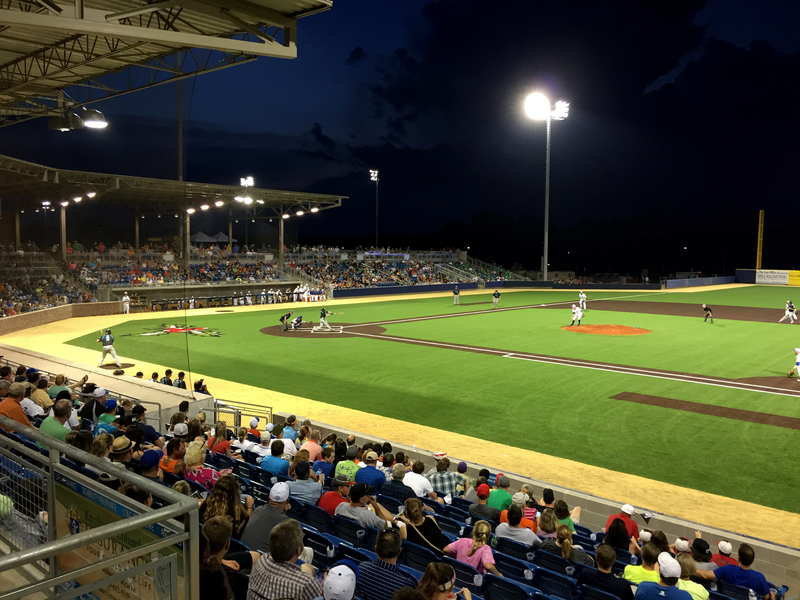 The stadium&apos;s main tenant, the Holly Springs Salamanders of the Coastal Plain League, a college summer league, also played a role in helping the event come to Greater Raleigh. 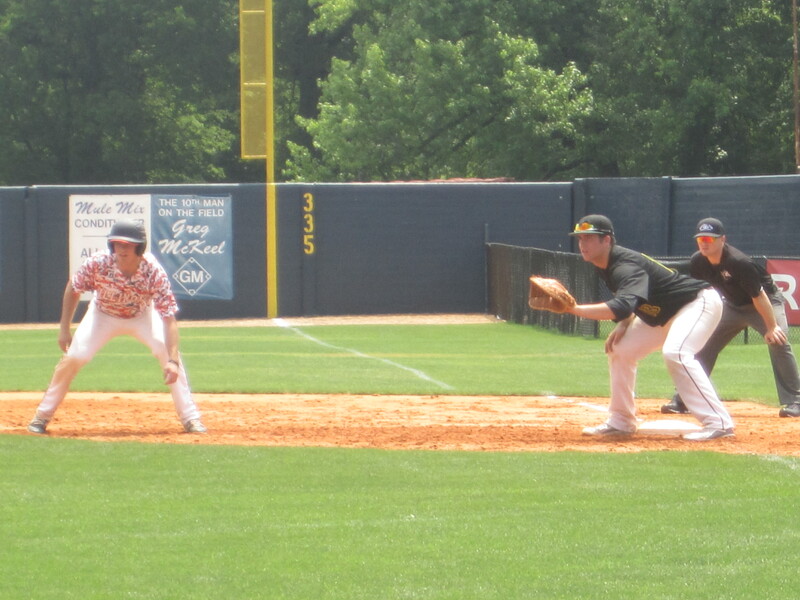 The Salamanders agreed to reconfigure their schedule to accommodate the NCBA World Series. 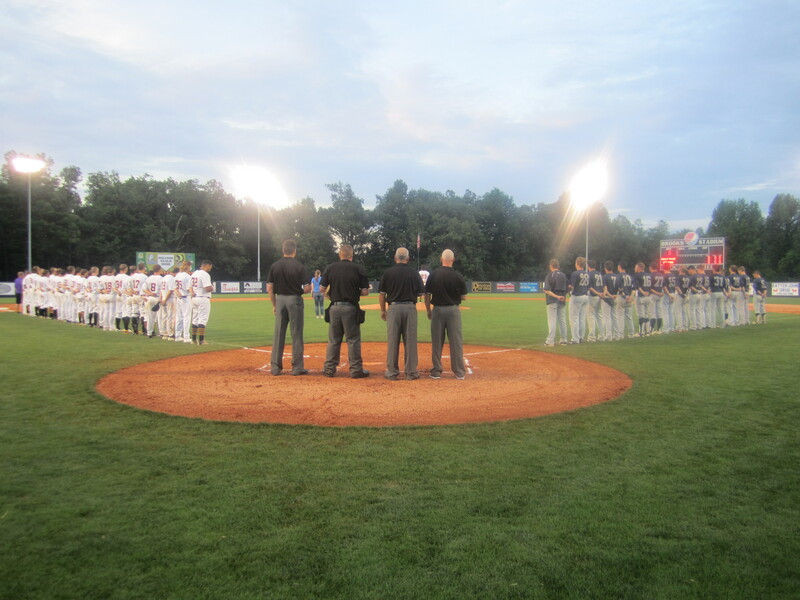 In July, the Salamanders will play host to the Coastal Plain League All-Star Game. That event and the NCBA World Series, Manning said, will play well in Holly Springs, which has plenty of young, active families in its population of about 35,000. "There are just a lot of feel-good storylines from this tournament," he said. The fan fest on Sat., May 27 will feature a number of local professional teams. The fan fest also includes an autograph session that precedes the home-run derby. Tickets to the tournament are sold at the stadium and are $10 daily for adults, $7 for students and $5 for seniors and children 12 and under. Tournament passes are $25 for adults, $20 for students and $15 for seniors and children 12 and under. The games themselves are competitive, and the schools recognizable. Each of the eight qualifying teams had to advance through regional play to qualify. The teams are East Carolina, Central Florida, Penn State, Michigan State, Colorado State, Texas State, Utah State and defending champion Nevada. The players are good enough to have taken part in intercollegiate baseball. Some players choose to have the big college experience, thinking their baseball days are over, only to learn their universities have club teams, Smith said. "We get so many dads, some with tears in their eyes, talking to us at the World Series," Smith said. "They come up to us and say, ‘I thought I saw my kid play his last competitive game of baseball in high school.&apos;"
The love of the game is everywhere, starting with the airport welcome and extending down Hwy. 55 to Holly Springs, where that red carpet awaits.